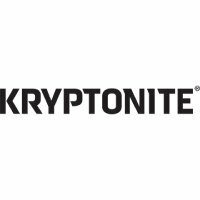 The Kryptonite R2 Retractor Pocket Combo Cable Lock is an especially elegant cafe lock. Being a combination lock, that's one less key to concern yourself with. This 2.4mm-thick vinyl-coated twisted steel cable wouldn't deter a tooled-up thief, but it should be enough to prevent an opportunist wheeling or riding the bike away when you leave it briefly unattended outside a shop or cafe. Alternatively, this Pocket Cable Lock can augment a D-lock to make, say, your quick release wheels more secure. The cable is stored inside its case till you need it - then you pull out the required length of cable, tape measure style. You then click fix the cable's reinforced lock-head to its dock at the other side of the case. When you unlock it, press the button and the cable retracts - again tape measure style. The 4-digit combination is resettable. The cable is 90 cm long and 2.4mm-thick. Measuring just 10 x7cm and weighing only 95g, this is an eminently back pocketable lock.